Make a noose in the rope. Form a loop and tuck it into the noose. Make another loop and tuck it into the previous loop. Keep repeating. When the chain is long enough, lock it by passing the end through the final loop. Uses: The Chain Sinnet (Chain Stitch) (ABOK # 2868, p 472) is tied by many of us as children. It turns a piece of string into a pleasing chain. And, when pulled, all of the knots vanish as if by magic. It is found on dress uniforms; it can be used to shorten, and add bulk to, the end of a light pull; and it is also used by climbers as a means of preventing a rope getting tangled, e.g., when being washed or stored. Other Names: It is known by many names including: Daisy Chain, Monkey Chain, Monkey Braid, Single Trumpet Braid, Single Bugle Braid, Chain Stitch, Crochet Stitch, and Chain Braid. 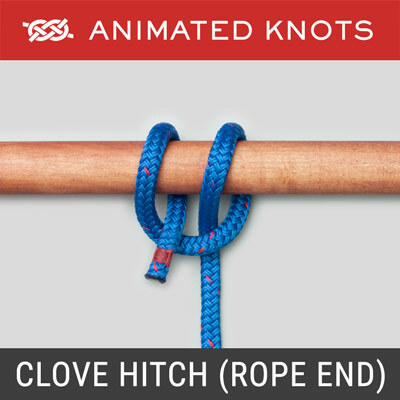 Structure: Tie a Slip Knot in the rope; tuck a bight into the loop; and repeat. Complete the chain by feeding the end through the final bight. The chain is released by withdrawing the end. It has to be the end you used to complete the chain. Withdrawing the other end merely shortens the chain by one link. Electrician's Coil. 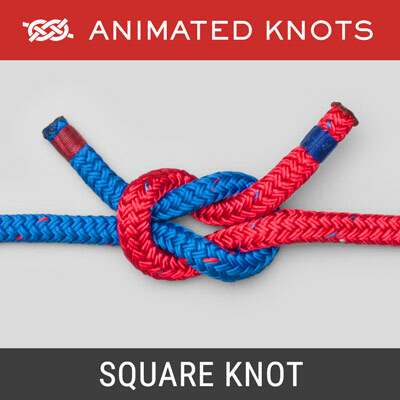 The animation shows a chain that has been pulled tight at each link. 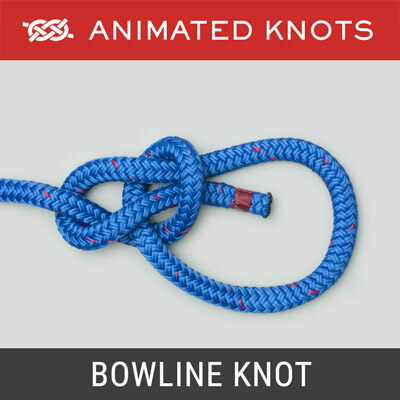 When coiling wire (or rope for washing), fold the line in two and make much larger loops. For a very long line double the line a second time to handle four turns at a time. The hand is passed right through the last loop to grab the line(s) to make the next loop. Advantages: The Chain Sinnet requires minimal skill or dexterity! With large loops it provides a convenient coil for electricians and for washing rope in a washing machine. Electrician’s Coil. 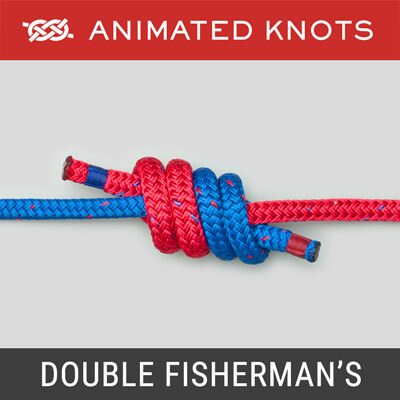 The animation shows a chain that has been pulled tight at each link. 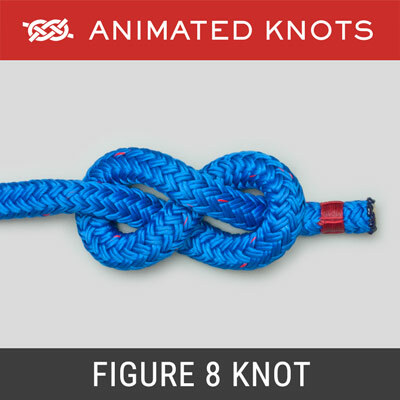 When coiling wire (or rope for washing), fold the line in two and make much larger loops. For a very long line double the line a second time to handle four turns at a time. 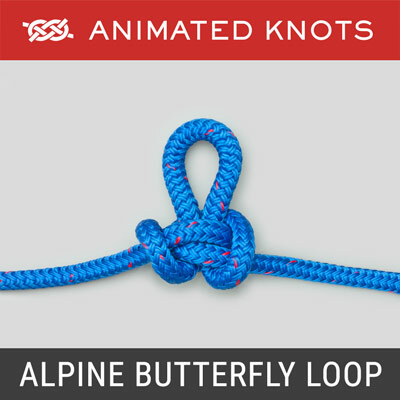 The hand is passed right through the last loop to grab the line(s) to make the next loop.